Simon campaigned to ensure that all children and young people who require specialist frames have the same level of care throughout the country. Having identified an inequality in service for children with special facial characteristics, Simon started an online petition. He took the issue to his MP, who raised the anomaly with the Secretary of State for Health and the Head of Primary Care Commissioning at NHS England. 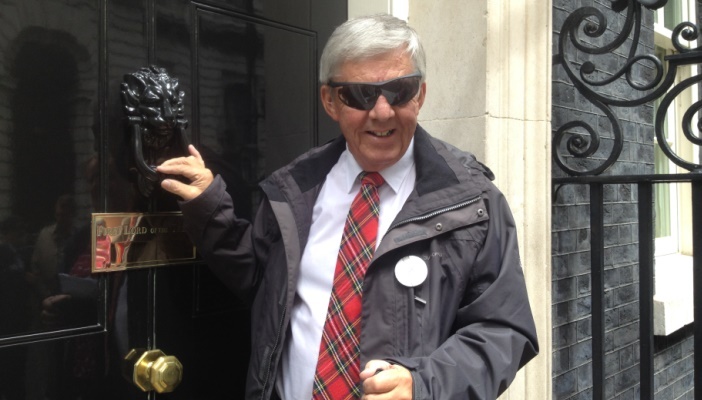 Simon’s campaigning efforts also saw him working closely with the Down's Syndrome Association, SeeAbility, Mencap and Down’s Heart Group to bring about awareness and a positive change. Adrian is an Eye Clinic Liaison Officer (ECLO) at King’s College Hospital, London. He set up a new screening pilot to identify when patients with severe sight loss have depression in their first ECLO appointment. Adrian established clear referral pathways to mental health services for anyone who showed signs of depression. As a result of the pilot, Adrian was able to send robust results from the screening to counselling services requesting support for patients. Currently, this is the first standardised method for identifying whether patient shows signs of depression and Adrian has received a lot of interest from other trusts about how the pilot can be implemented in other hospitals. Keith and Mandy are both martial arts instructors at Warrior Martial Arts in Congleton. They welcome anyone to their classes and help them to thrive in every way possible through kickboxing and Brazilian jiu jitsu. They make simple but impactful adjustments like coming closer to show techniques, repeating instructions, placing students where they feel comfortable to see, and in jiu jitsu, demonstrating techniques where vision doesn't have to be used. Corinna works as an Eye Clinic Liaison Officer for St Paul’s Eye Unit at the Royal Liverpool and Broadgreen University Hospital Trust. She noticed that some patients with sight loss’ practical and emotional needs were not being met as well as they could be. Corinna turned the situation around by devising a Sight Loss Pack in her own time, which vastly improved interactions between patients and staff. She also developed and delivered a staff training programme, initially at St Paul’s, but now across the Trust. 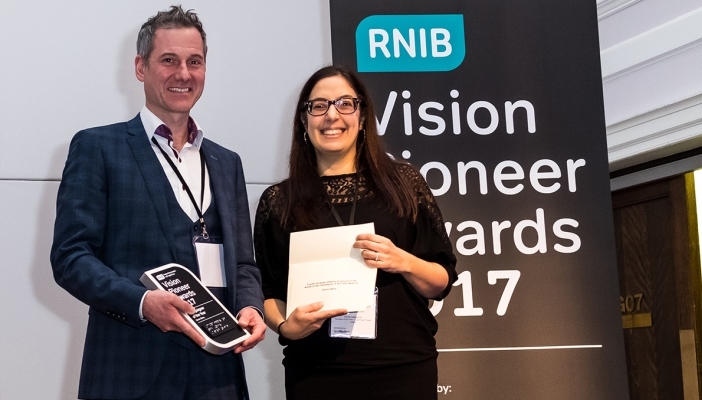 Because of Corinna’s efforts, sight-related patient complaints are now virtually zero, and the number of patients using Corinna’s support and signposting service has nearly doubled in just 18 months. In March 2016, the Bradford Vision Impairment Team, including staff in resource bases and outreach teams, were awarded the Regional Vision Impairment Quality Mark (Yorkshire and Humber). 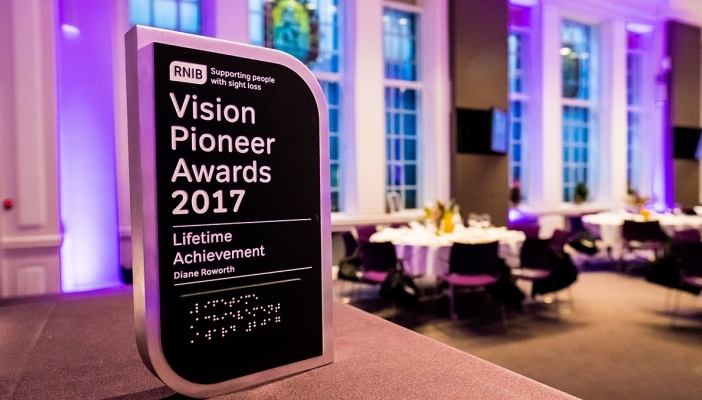 The award highlighted the good practice and provision for all children and young people aged 0-19 with vision impairment across the district. The team works to ensure a consistent pathway of support and teaching, and a clear development of the vision impairment (VI) specialist curriculum from the earliest diagnosis and referral, working with families through early years, school and transition to further and higher education. The team has also provided opportunities for pupils in mainstream schools to spend time with VI peers, offering weekly sessions and an adventure and experience programme. Imran is a Junior Doctor in Ophthalmology who has created a number of patient information videos to help patients understand their eye conditions. 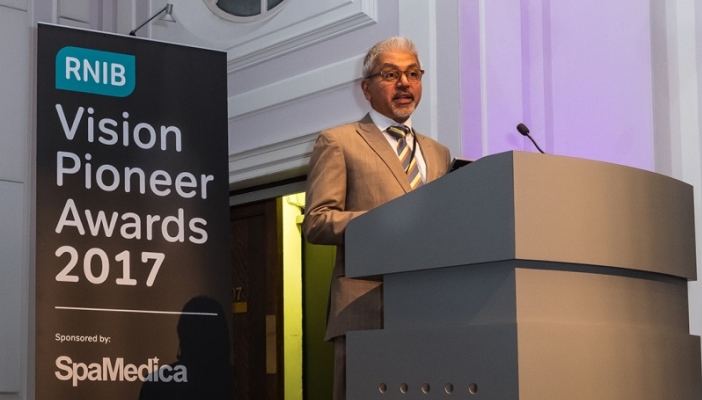 He was inspired to do this after becoming aware that even though many people are given a diagnosis which changes their life, they may not understand what their eye condition means, a situation which can be frightening. Imran created a website to host the videos that he wrote and edited himself. He plans to have the videos translated into several different languages so they can be accessed widely by people around the world. Diane is the former Chief Officer of York Blind and Partially Sighted Society (YBPSS). Throughout her 30 year career in the sector, Diane grew YBPSS to a vibrant user-led community interest organisation with over 1,100 members; established the Eye Clinic Liaison Officer service in York Hospital, and set up a technology and visiting service which provides thousands of hours of practical and emotional support each year. In 2010 Diane lead a project utilising the Fire and Rescue Service’s home safety checks to reach people with or at risk of sight loss. In 18 months, over 13,000 households were offered eye health advice and screening and around 1,300 signposted towards support. This led to the creation of Optimeyes, a Big Lottery funded project, which has extended the work to other areas.